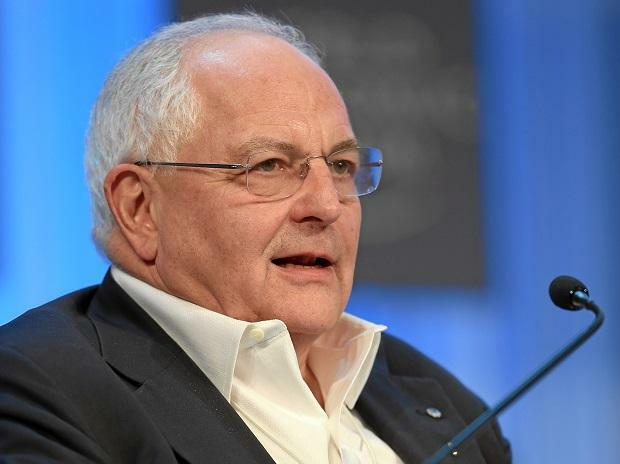 As the word economic paradigm changes and protectionist voices become louder, a piece of advise for India to pitch for the liberalised world came from Martin Wolf, chief economics commentator with the Financial Times, London. As British Parliament debates Brexit deal, he said it is expected that prime minister Theresa May will lose the vote, but he expected that she will survive the confidence vote. Delivering the C D Deshmukh Memorial Lecture, organised by the National Council of Applied Economic Research (NCAER), Wolf said since the biggest issue for India is global trade, maintaining an open world economy is a vital interest of the country. "India needs to fight hard to maintain the effective operation of the WTO. It needs to fight for global trade liberalisation. It needs to participate in liberalisation efforts, regionally and globally," he said in his lecture, titled 'Challenges for India from the Global Economic Upheavals. He opined that India can no longer take a favourable global environment for granted. "It must also not quiescently accept its disappearance. It must use all the influence it has to support and promote it. This requires aggressive pro-active and risk taking economic diplomacy," he said. Observing that India has weight, he suggested to the country to use it. On evolving situation in Britain over Brexit deal, Wolf said later that May will survive the confidence vote but there may be a coalition of parliamentarians for different policy and there probably could be another referendum. In the end, she might get the deal through after asking Brussels to give her more, or there may not be any deal. In case of no deal, the situation could be disruptive for financial markets in the short run, he said. In the lecture, he also advised India to tap the opportunities provided by India-China trade conflict. However, there is a word of caution here -- don't take sides. "So far as it can, therefore, it should avoid taking sides between the two superpowers and use what influence it has, on its own or with allies, to promote co-operation between them," Wolf said. He observed that the emerging strategic rivalry between the US and China is the most important change in the global environment for all countries. "Every other country must decide how to respond. Should they remain neutral and seek to preserve good relations with both sides? Should they align with one or the other of the superpowers? Should they play one off against the other? Should they try to bring the two together? All these options are going to be difficult," he said. He said India's objective must be to promote as co-operative a global order as is possible, in order to enjoy the blessings of peace and the opportunities of an open world economy. "As India’s power grows, it should increasingly be able to influence what is happening. But it also needs to forge close relations with other powers. As a leading democracy, India should align itself naturally with other democracies," Wolf advised. Finally, he said all this will be far easier if India is able to reach peaceful and cooperative relations with other countries on the sub-continent. As a case in point, he said,"Its contentious relationship with Pakistan is, self-evidently, creating a huge opening for China." In all these external efforts, India will first have to set its house in order. He advised India to tap globotics upheaval, the terminology used by Professor Richard Baldwin of the Graduate Institute of International and Development Studies in Geneva to describe integration of artificial intelligence with robotics. Also, India will have to consider the implications of the new security environment, especially the rise of China, for its own spending on security, Wolf said. "A balance needs to be struck between what is affordable and what meet the most obvious strategic threats," he said. On challenges on the domestic front, he said these are well-known -- reform of the financial sector; reform of the labour market; investment in high quality infrastructure; improved education for all; a focus of the country’s scarce fiscal resources on high-priority challenges.